This book contains nearly 180 pages of content, and every page is crammed with exciting and colorful new options. 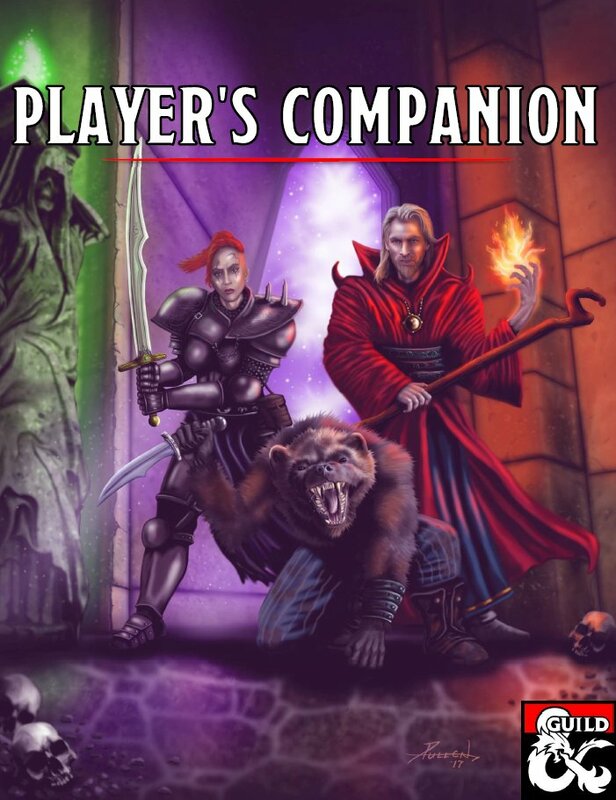 The Player's Companion is the must-have sequel to the Player's Handbook, and will take your game to the next level! Alternative P.O.D. option - In response to the number of requests for a POD option, have you ever thought about doing a Kickstarter for a Hardcopy version? I'm sure it could be done. Under the content agreement, we are not permitted to share this product anywhere except on the DMs Guild. Therefore a kickstarter wouldn't work, as we would not be able to share the product as a reward. Thank you for taking one of my favorite prestige classes from 3rd and and updating it to 5th. 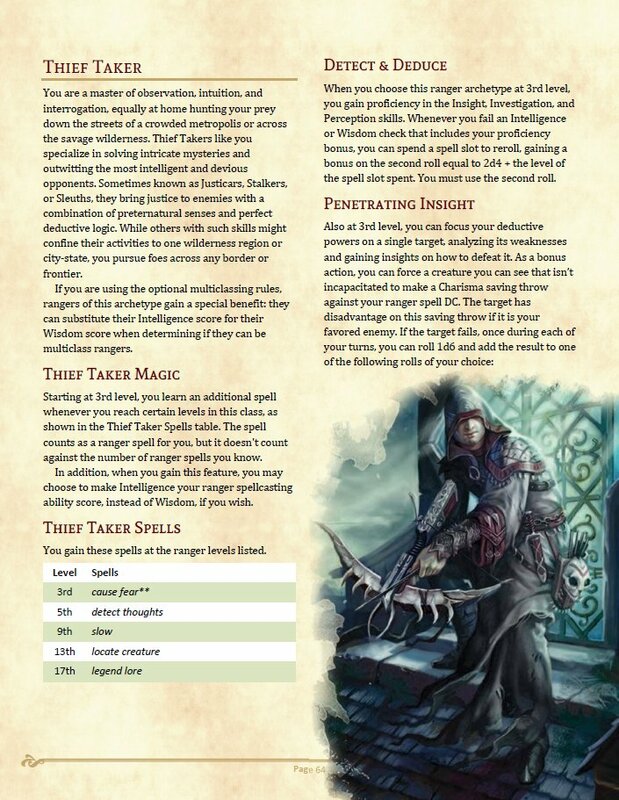 Now to just see if I can convince my DM to allow 3rd party stuff so I can be a Daggerspell Shaper. Any updates on a P.O.D. This is an incredible book, I bought the PDF, would love to see it on my book shelf though. Thanks for the queries around a POD! At this stage, OBS are only doing POD on a very tiny number of select items, and an older book like this is not likely to join the priority queue. 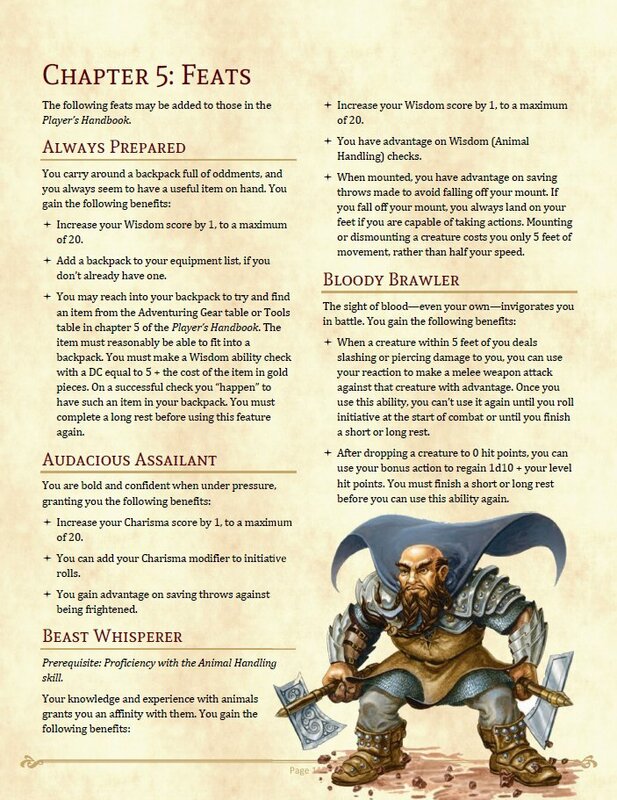 I think once POD gets automated a bit more for the DMs Guild, this will become feasible. Thank you for letting me know, I appreciate your response. Pity it is unlikely to see POD, well I can only hope that eventually happens as it really is a fantastic book. I'm with many others here when I say well done. I great product, but please, let me knoe when there is a physical copy! Any chance someone can work this into Fight Club 5? It would be a lifesaver! My whole group loves the product btw! Thanks Clive! Once again, the cost of preparing it for print is a challenge based on the likely print volumes. But it is still a live option for us. 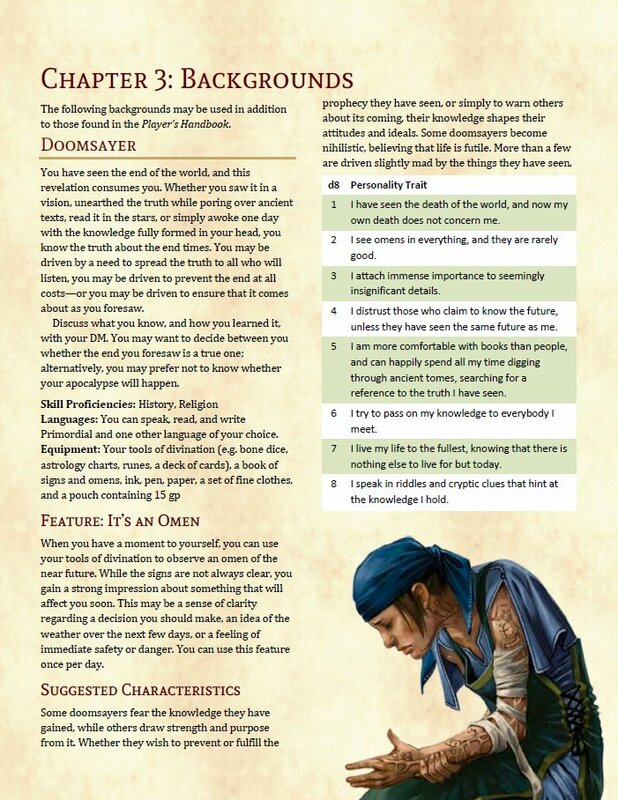 At this stage OBS are doing very few POD titles on the DMs Guild. If it becomes feasible, we will let you know. Will there ever be a Fantasy Grounds version. Hi Clive, it's possible, though at this stage an FG version would not be economical for us to produce. We are looking at options. I am enjoying this so far but I do wish there was a print version as well. Let me know when a print on demand version and I will glad buy it again in print. Any update on the print edition? Still some way off, I'm afraid! Very impressed. 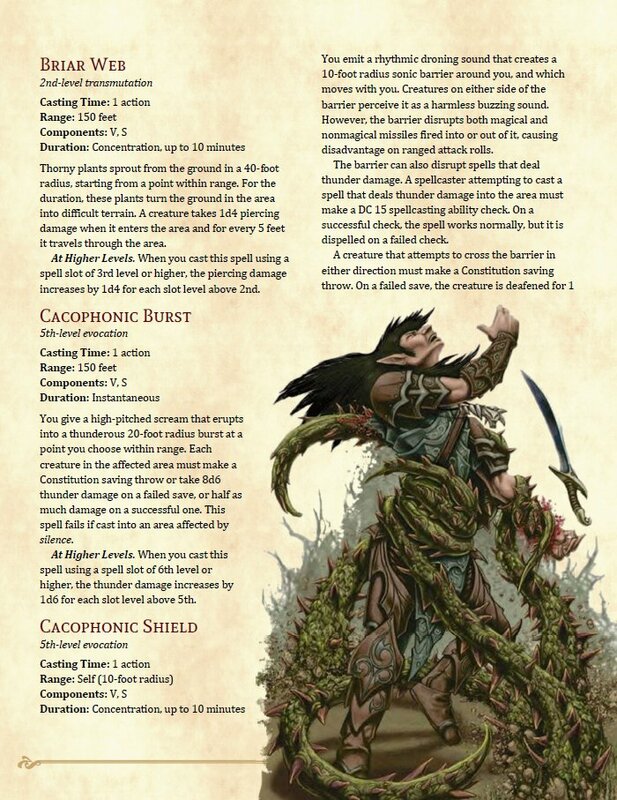 I like this version of the Shadar-Kai better than the official version in Mordenkainen's Tome of Foes. Any chance that there will be a print-on-demand version in the near future? 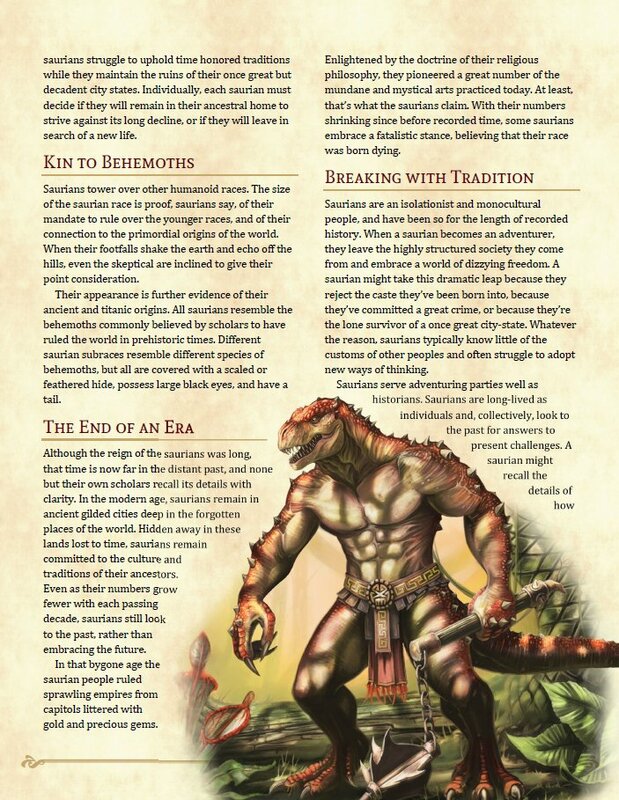 I'd like to see more on the Saurian race, Gods, Racial feats etc. Nice suggestions! 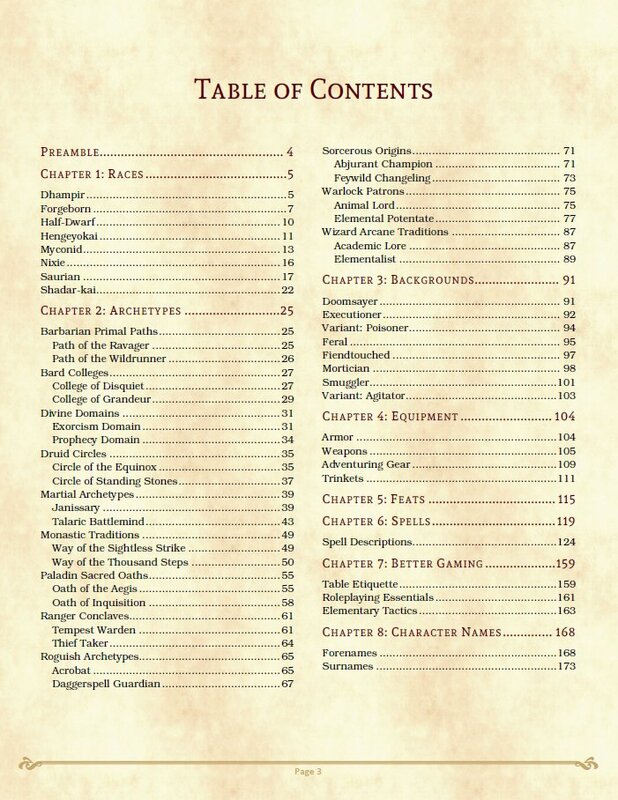 I happen to know there is a mega book on gods and faith coming to the Guild very soon! We are working on revisions now, and will soon be preparing a print edition!! Been using this book for a short while now. It is honestly awesome! 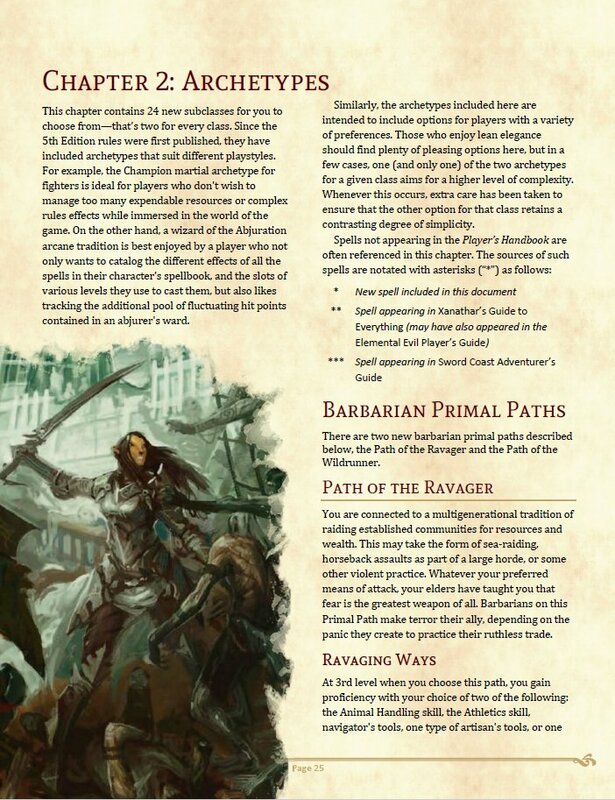 One of the best around for players and DMs. I really love this book. The content is fantastic. It's opened up a ton to my players and is allowing certain storylines I wanted to make happen, happen. My only complaint is some of the layout. 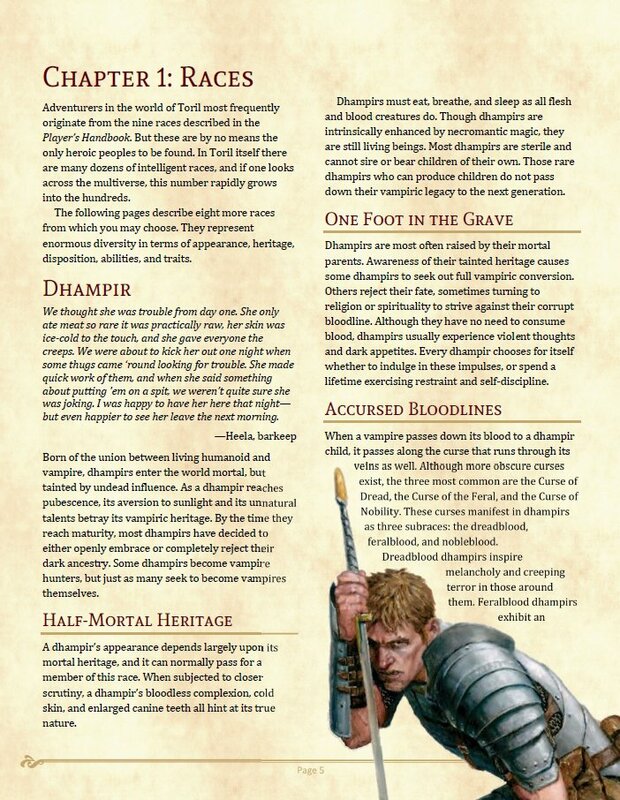 Having the Subclasses for different classes not sharing the same page for example. If that's to save space on...whatever, okay, fine. It's not a huge deal, I think it would just make it a bit easier to take in visually. That's my only complaint though. Buy this book. Is accelerate metabolism 6th or 5th level? 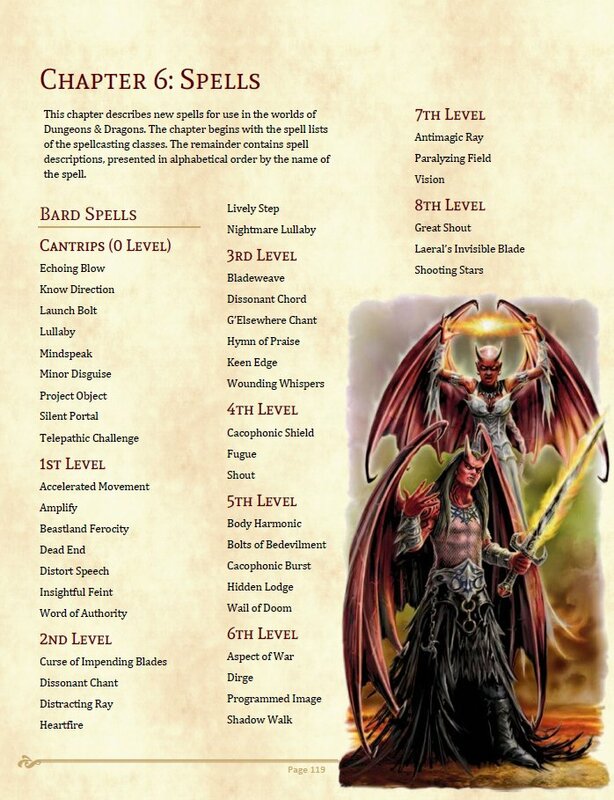 In the Cleric spell list it is 6th level but in the actual spell's description, it is 5th level. Which is it?